The collaboration started when Professor Petra Brysiewicz of UKZN’S Discipline of Nursing in the School of Nursing and Public Health was introduced to Professor Katherine Pereira, the Director of Duke Nursing Practice (DNP) Programme a number of years ago. The pair then started to work on ideas regarding possible collaborations. Pereira came to South Africa and Brysiewicz introduced her to UKZN’s Professor Damian Clarke and his team, with their electronic database, the Hybrid Electronic Medical Registry (HEMR). Brysiewicz says the main objective of this partnership is to develop a method for teaching clinical nurses and other healthcare professionals how to use data for research purposes. The importance of using healthcare data to drive practice and change is the primary focus of this venture. Most importantly the two universities will work collaboratively to identify interdisciplinary approaches to improving patient care and safety by using healthcare data. A co-partnership to develop a curriculum that could lead in the training of nurses and other healthcare providers in the contemporary use of data to improve care and safety for all patients will be established as part of this partnership and it is envisaged that it will benefit the community at large, said Pereira. Short term goals of this project include developing small data projects involving Duke DNP students, Duke Faculty, staff from the Department of Surgery at Grey’s Hospital who developed and maintain the HEMR and UKZN’s Discipline of Nursing. ‘At a later stage, we want this project to become a leading institution in training clinical nurses and other healthcare professionals to use healthcare data to improve care and patients safety. Our vision is develop longstanding teams to investigate quality and safety and make improvements and recommendations for improvements,’ said UKZN’s Acting Dean and Head of School of Nursing and Public Health, Dr Mosa Moshabela. From Duke University, the dialogue team comprised the Director of Duke Nurse Anesthesia Programme -Brett Morgan, Assistant Professor and expert in secondary data and patient safety and quality, Vicky Goode and Pereira. 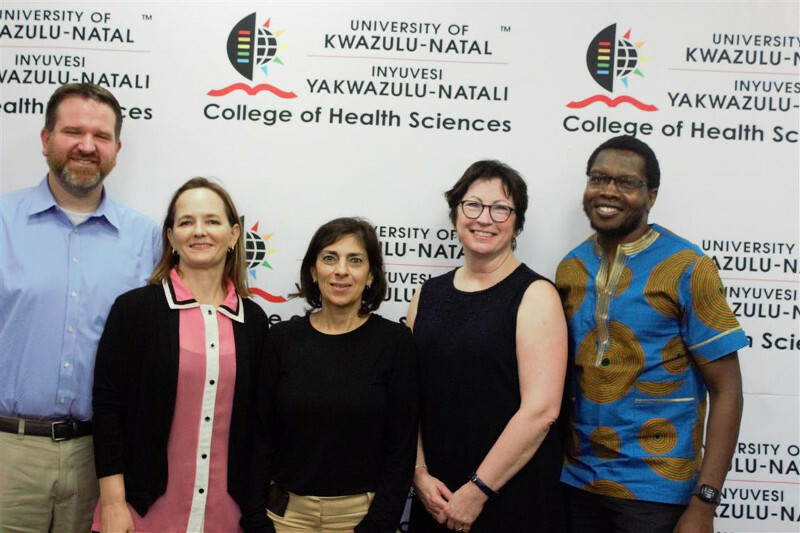 Academic Leader of Nursing at the UKZN School of Nursing and Public Health, Professor Gugu Mchunu, Brysiewicz, Professor Damian Clarke, Dr John Bruce and Dr Wanda Bekker from Grey’s Hospital Department of Surgery were in the team from UKZN.